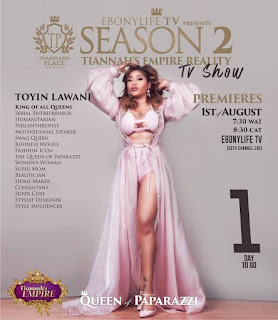 Serial entrepreneur Toyin Lawani set for second season of Tiannahsempirerealitytvshow! 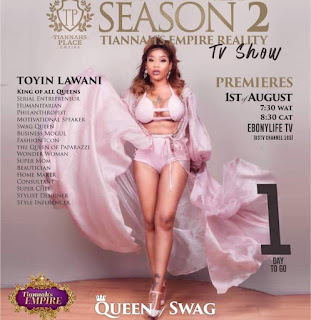 The fashion and beauty guru is set for the launch of the second season of her reality show. Viewers are in for jaw dropping moments as she takes us on the journey juggling motherhood as well as her numerous businesses.